This post “One Sales Lesson That Saved Christmas” appeared first on Inc. When Michael Litt came up with the idea for Vidyard in the winter of 2011, he knew that his concept—video management and analytics software—had the potential to be massive. But he also knew that to realize the full potential of his idea, he would have to avoid the mistake he’d made with another company he had started. In 2009, Michael and a friend, Devon Galloway, started a video production company called Redwoods Media. In 2010 they set themselves a goal to generate $50,000 of revenue by Christmas—Project Christmas, they called it. If they failed, they would have to find jobs. By late fall, they were nowhere near their target. The problem was: although they had a well-designed website and an impressive portfolio of videos, hardly anyone was visiting their site or expressing interest in their services. Michael knew there was only one way to salvage Project Christmas—get on the phone and start selling. So he and his team did everything they could to find people to talk to—asking for referrals, running events to get names, and cold calling companies. They spent as much time as they could on the phone, and on Christmas Eve, they made a $12,000 sale that put them over the edge. In the months following Project Christmas, Michael noticed that many of his clients were asking him for a place to host their videos and for a way to tell if their investment in video was paying off. This is when Michael began to think that he could sell hosting and analytics services on a monthly subscription basis—and not just to his clients, but to the millions of companies around the world that used video. YouTube for corporate use was taking off, so he thought maybe he could catch this huge wave early. Michael and Devon would co-found Vidyard based on this new business idea. As Michael thought about the vast potential for Vidyard, the lesson from Project Christmas lurked in his mind—he’d waited too long to start selling Redwoods. So, when it came to Vidyard, instead of building the service first and then selling it, Michael would start selling Vidyard right away. Yes, even before a launch! Michael would apply this sales-first approach throughout the various scaling phases he has taken Vidyard through. How he did that is something every entrepreneur can learn from. While Devon focused on building the alpha version of Vidyard, Michael began following people on Twitter who had expressed an interest in videos for business. Michael also used a web crawler to scour a massive online business directory looking for businesses that had a video embedded on their homepage. From these and other tactics, Michael built a list of over a 100,000 prospects. By actively engaging with the Twitter audience, Michael drove 500 people to a landing page where they signed up for the upcoming alpha version of Vidyard. He drove another 700 signups by emailing and cold calling people from the crawler list. As Michael had learned while cold calling during Project Christmas, the key to a successful call was to educate, not to try to sell. While calling about Vidyard, Michael would talk about the coming trend in video marketing and what Vidyard was trying to achieve, positioning his company as a thought leader. Lots of people wanted to be on top of the trend and eagerly signed up. After the launch, about fifty people starting using Vidyard. Michael began to onboard them by getting on the phone. Just as he did during his cold calls, Michael took an educational approach. But this time, he focused on what his customers could teach him–about how they were using the service, what they hoped to achieve, and what they felt was missing. Michael took what he learned and built that into the product. Sell it, then build it! Then repeat. Michael then called the other 1,150 sign-ups and encouraged them to use the service. During this phase, Michael was making upwards of 100 calls a day, and within a few months, several hundred customers were actively using Vidyard. Michael wasn’t selling just to generate sales. 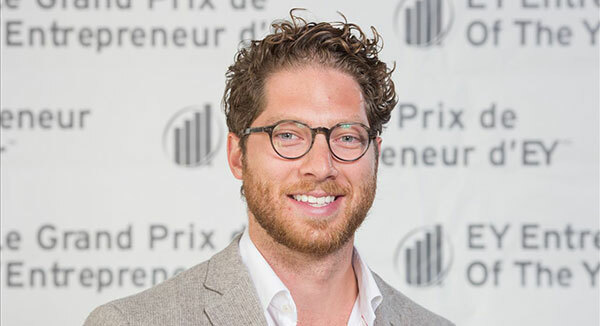 He was selling so he could prove to potential investors that Vidyard was viable, which would help him raise the funds he needed to scale the business. During a Demo Day at Y Combinator, Michael impressed potential investors with the solid growth in sales from the initial cohort of users. The result: $1.6 million in funding. Now Michael could begin scaling in a serious way. Sticking to his sales-first strategy—instead of building out marketing, support, or customer success—he started hiring salespeople. Once this initial team of sales reps was up to speed and generating business, Michael built out the marketing team. Their main purpose was to supply sales with a steady stream of high quality leads. Michael envisioned the two teams working together as one unit–a complete sales engine that would drive Vidyard’s growth. Eventually, the stream of leads would reach the point where the sales reps no longer had to cold call. In most organizations, this is the point where the ability to make outbound cold calls disappears from the organization. But not at Vidyard. Michael knew that the loss of the ability to cold call would leave Vidyard vulnerable if the flow of leads ever dipped. So, junior sales people would continue to cut their teeth with cold calling. Even if they never had to resort to it, the experience of getting on the phone with cold leads would give the sales reps more confidence when talking to warm leads. By the end of 2013, the sales engine was firing so well that it was consistently growing the number of customers by 15 percent month over month. Based on this sales success, Michael raised $18 million in a series B round in 2014, which, according to the Wall Street Journal, put the company’s valuation close to $100 million. One of the first things he did with the money: develop a sales training program to ensure the sales muscle that took Vidyard to the $100-million mark carries it to the next milestone and beyond.